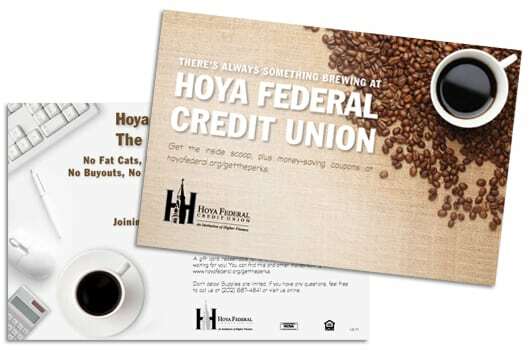 Georgetown University’s Hoya Federal Credit Union came to us for a new idea to generate membership. 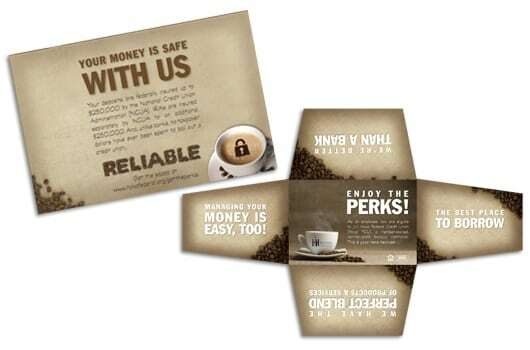 Our creative team developed a themed program around the concept of “Switching to Better Banking”. 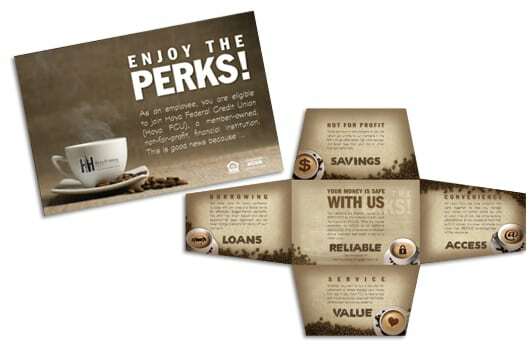 Using a travel mug and a free gourmet coffee card as elements to incentivize new accounts, clever die-cut packets were created for direct distribution to the faculty and staff. 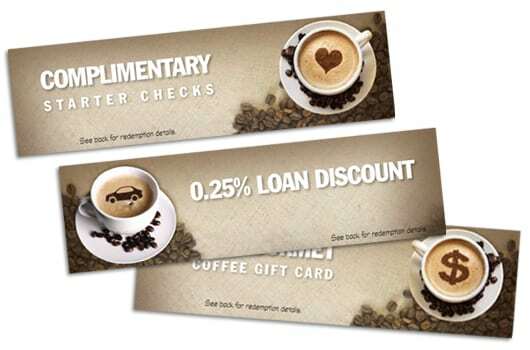 The coffee theme was integrated into individual product offers using both web and print mediums. To date, the program has generated new accounts and increased profitability.